A Durham woman is lucky to be alive after she was attacked by three dogs in a freak accident. The BBQ Gods were out in force. Nope, looks like it’s a national tomato based sauce! I’m not sure what the accident was. 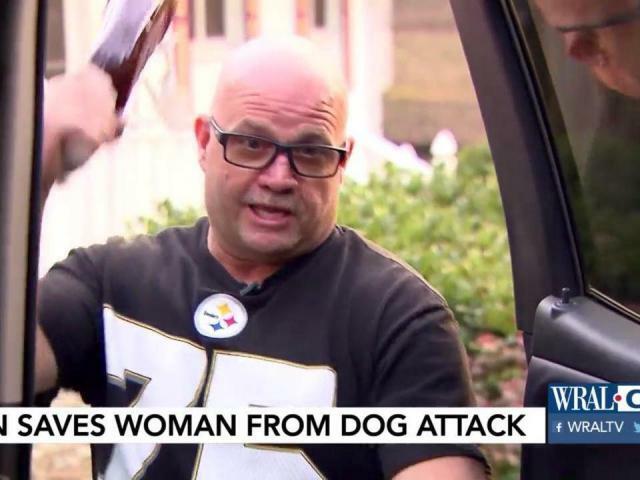 I’m not going to get into the pit bull controversy but that’s a bummer of a story. It is. The woman is lucky there was help. But my mind keeps wondering why the man had a bottle of bbq sauce on the floorboard of his truck! It is. The woman is luck there was help. But my mind keeps wondering why the man had a bottle of bbq sauce on the floorboard of his truck! Ya never know when you’ll encounter someone operating a Smoker on the side of the road? 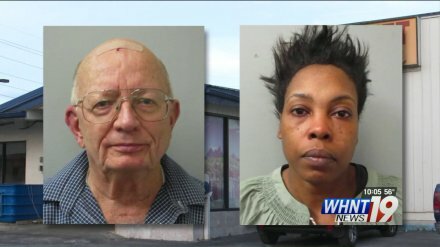 why the man had a bottle of bbq sauce on the floorboard of his truck! You mean there are people who don’t??? I’m not big on bottled BBQ sauce but I usually carry a bottle of hot sauce with me when I’m travelling. I hadn’t watched the video. That sort of puts the kibosh on the idea of BBQ regional purity. I’ve got an issue with the writer describing the dogs as Pit Bulls with no further comment on breed or mixed breed. Calling a dog a Pit Bull is a pejorative slam on an animal. 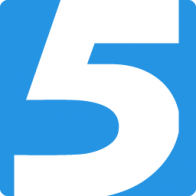 It carries the implied intent to describe a dog as trained to fight in the Pit. To win. Or die. IMO, most people who raise and love a “bully” breed pet would not appreciate someone calling their dog a Pit Bull. So, what was/were the breed(s) of the dogs? 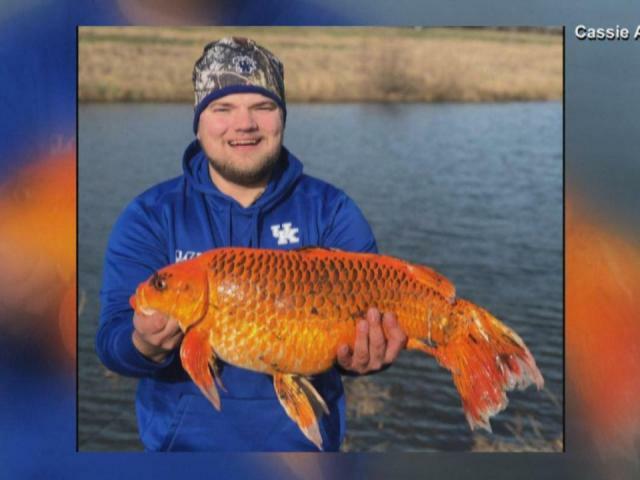 A Kentucky man reeled in a giant goldfish using only a piece of a biscuit. I thought it nice he returned it to the water. I’m not sure if there’s a big recipe baseline for goldfish and I’m choosing not to look because I’ll probably be proven wrong. This would be a better story if he used a cat head biscuit as bait! While the mix up is funny I find the excruciatingly long televised interview hysterical for the effort spent to create filler on an obviously slow news day. Valentine’s Day is a chance to get your significant other something special. 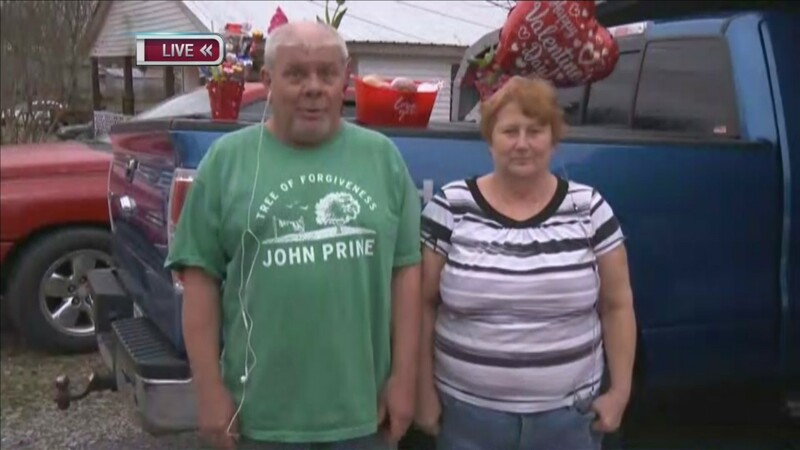 Sometimes, people will let you in on what they’re looking for, but one Ohio County man’s Valentine’s mix-up caused some big laughs on Thursday. "There's a woman who's beating a man. People are moving around, plates are shattering everywhere." Modeling wonderful behavioral skills for her children. Hahaha! Some laugh than the agony political daily news.